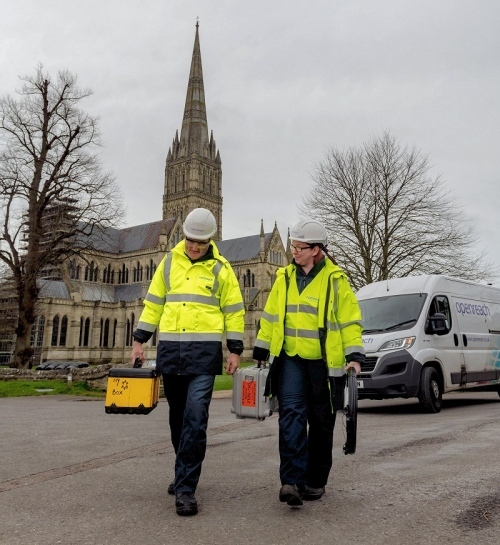 Openreach (BT) has today announced that their “Fibre First” programme will cover the whole of Salisbury (Wiltshire, England) with Gigabit capable Fibre-to-the-Premises (FTTP) broadband technology and it will aim to do so within just 12 months, which could be the fastest city-wide network build in the UK so far. At present Openreach already has a little FTTP live in Salisbury from earlier work and their slower FTTC (VDSL2) network is nearly at universal coverage, although a small percentage of the latter cannot yet access “superfast” (24Mbps+) speeds; this new roll-out may correct that. Meanwhile Virgin Media’s cable network covers a little over half of the city. Salisbury is of course a smaller “medieval cathedral city” in the southern English county of Wiltshire. The city is home to a population of around 40,000+ and some 22,000 premises, as such we can easily believe Openreach when they pledge to deliver “universal access” across the entire city and have “full fibre” services ready to order by April 2020. The roll-out is understood to cost c.£8m (roughly £363 per premises). The commitment to universal access is important since Openreach, as well as most other full fibre operators, rarely achieve 100% coverage of entire cities in the first pass. The remaining gaps are often, but not always, filled in by later roll-out phases or rival networks (e.g. London still has a fair few gaps to fill). “Salisbury has a unique and inspiring history – from its medieval sites to its thriving cultural sector, it’s an icon of our national heritage – and now we’re laying the foundations for an even more exciting future. The city will be a focal point of our ambition to future proof the UK’s digital infrastructure and boost the country’s economic growth and productivity. For Salisbury’s homes, shops, GP surgeries and schools, it will mean fewer broadband faults, faster connections, and a consistent reliable network that will serve the city for decades to come. From home-working to healthcare, digital trade to entertainment, the possibilities that a full fibre network can bring are almost limitless. “Following early discussions I had with Openreach last year, I am absolutely delighted by their decision to make Salisbury the first Openreach city in the UK to gain access to full fibre broadband. Full fibre will significantly improve the attractiveness of Salisbury for companies looking for a location with cutting-edge connectivity, boosting the number of high-quality job opportunities for constituents. So far Openreach have already deployed FTTP to cover more than 893,000 UK premises and their roll-out is officially running at a rate of +13,000 passed per week, rising rapidly (here). Overall the Fibre First programme aims to cover 3 million UK premises by the end of 2020 (March 2021 financial) and we’re currently expecting this target to be met (estimated cost of c.£1.2bn). Check out the latest list of their 25 roll-out areas (here and here). The operator has also signalled that they could potentially reach 10 million premises passed by around 2025, although this is still dependent upon the outcome of on-going discussions with Ofcom and the Government. However it’s worth noting that the market for FTTP has become very competitive over the past two years and as such Openreach may have little choice but to continue their build past 2020, or risk being left behind. “The growing speed with which we connect online with our families, friends and work colleagues, not only brings us closer together, but it also provides huge benefits for our economy. Naturally locals in Salisbury will have to purchase a related product (once the network is live) in order to benefit and several ISPs are offering such packages. For example, there’s the obvious BT Ultrafast service but you can also buy Openreach based FTTP from Zen Internet, iDNET, AAISP, Freeola and Cerberus Networks etc. Apparently a map of the network build in Salisbury should be live later this morning (we’ll add a link once it’s up). The news will also give Salisbury something generally more positive talk about than Novichok and Russian spies, which is nice. Great to see, so will the 38 subsidised cabinets in Salisbury be transferred to rural? Subsidy was needed for 38 cabinets but no subsidy needed for full fibre! This is good progress. Doubt that would be very cost effective. Won’t Openreach still have a regulatory requirement to offer copper based services to the other telcos who want to sell to customers in salisbury? Companies like talktalk and sky will have their own kit in the local exchanges that i doubt they’d be willing to write off and that won’t work without a copper local loop. Yes sadly. Waste of duct/pole space. Customers will be using those cabs. Why would they move them? It’s not a forced upgrade to fttp. It’s an option that is available. This will happen all over at some point where fttc is. Geez there is no pleasing some. Fibre Fred.. I am delighted BT is investing, but why a short term ago divert funding from rural to subsidise an interim solution? Deeply sub-optimal and there is no excuse. It’s easy to look back and call the FTTC an interim solution. How long has the FTTC been it place? Was Fibre First even a programme back when it was installed? As usual, it is depressing for those of us stuck on ADSL to see a city with effectively 100% superfast coverage with FTTC and Virgin Media being upgraded to FTTP. Low hanging fruit that has already been picked by FTTC and Virgin Media? It’s a touristic city. There’s a famous cathedral there, the Salisbury cathedral. It’s famous not just in all of Europe, it’s famous all over the world I think. It’s famous for its 123-metre spire, it’s famous for its clock, the first clock made in the world that still runs and its FTTP that covers the whole of Salisbury. So BT wanted BDUK subsidy to roll out FTTC to Salisbury because it was not “commercially viable” but are now rolling out FTTP to the whole city? This joke of a company should just hand back all of the money they have conned from the taxpayer. 60% take up rates in BDUK areas shows that the “commercially viable” thing was a load of hot air and lies. Meanwhile a load of people are still struggling with a last century connection while BT just keep going after the low hanging fruit over and over. What a joke. This another example of the whole BDUK farce. BT is a commercial company, and doesn’t need taxpayer’s subsidies. In other words heres some more PR bu11$*!t that is never going to happen. I suppose this will literally only cover the city and not any areas around Salisbury, e.g Amesbury, Durrington, Shrewton and so on? Best check the where and when from OR for that. Sadly the surrounding rural areas not covered. The map is just like the other Fibre First maps and just covers the exchange footprint. Also known as altering the geographical landscape to suit our nonsense claims. Exchange boundary may be larger than city, need to check. Using Dan’s link to the site it is obvious by visual inspection that the exchange area in yellow is bigger than just Salisbury, but let’s not let the facts get in the way of Alan’s opinion. Unfortunately for you and the entire BT organisation i have the ability to read an actual location and its boundaries in ordnance survey mapping and other literature. Perhaps a geography could help you. @Alan – I think not – the highlighted yellow exchange area in the link goes further north than the airfield, further east than Clarenden Park, further South than Odstock and further west than Salisbury Racecourse. Drove Lane is postcode SP5 Which is Salisbury and your precious little map does not cover that. @Alan – firstly you ought to familiarise yourself with the difference between postal district used as outward sort code is and what an actual postcode is, and secondly also look up the difference between postal districts and city boundaries. I suggest you learn to read a map. SP5 which Drove Lane is in is the largest postal district in Salisbury (you really should had checked this first to avoid looking silly) If SP5 is not Salisbury i wonder what is? Drove Lane is on both Maps, its obviously going to be hard for you to understand that. One map is a defined map by Royal Mail of SP postcode areas of Salisbury. The other map is a defined map of Salisbury County Constituency border compiled by Ordnance Survey mapping and the Office for National Statistics. @alan – when you can manipulate the .shp file for Salisbury from OS Strategi, or correctly locate the raster tiles from OS1to25k you will be able to see the extent of Salisbury, and how it completely falls within the yellow exchange boundary posted on the website, until then I suggest you go back to your armchair. I do not need to manipulate anything. The first map is available all over the internet. As just 2 examples, perhaps you should run along and inform them it is incorrect and Openbreach know better than them when it comes to geography. The second map is from an Ordnance mapping site. As i stated, which can not be hard linked to as it requires login credentials. I doubt your profession is anything to do with development or town/county regeneration so you wont be able to sign up or afford it. and hopefully your not be too daft to realise the outline of Salisbury on there matches exactly to the second map i posted. The only thing that seems to be manipulating things here seems to be coming from an organisation and individual that must had failed basic geography at school and as always hilariously hates to be wrong. .wikipedia.org/wiki/Salisbury_(UK_Parliament_constituency) will give you a feel for the coverage which includes Wilton, Whiteparish,Broad Chalke, Shrewton and Alderbury to name but a few additional towns and villages. What is mentioned in the quotes is the City of Salisbury, which lies completely within the previously linked Openreach map. Still I’m sure if Mark had the information that Openreach were proposing to enable the whole of the parliamentary constituency, or even the whole of the Postal District he would have included it in his article. Otherwise your continued objections look more like trolling than constructive comment. So it appears you can not read words or a map. You better also tell John Glen MP for Salisbury and South Wiltshire who thinks his city is being covered by Openreach is also wrong and SP5 does not count…. Oh look at the bottom of that page again its that REAL map of Salisbury you can not get your head around. Ya funny i give you that, dim but funny. So your post simply confirms you cannot or will not differentiate between constituency and city, or postal district and city. SP5 cuts right across the middle of the city of Salisbury. I persnally live right in the middle of the city and have an SP5 post code, the Openreach map you are defending even covers part of the SP5 postcode, but not all of it, therefore logic dictates it is not covering the whole of Salisbury or the city of it. Why you would think various mapping tools are wrong and Openreach maps are right is rather bizarre. You seem unable to provide anything to demonstrate Openreach maps as being accurate. Don – The extent of SP, or even SP5, or the boundaries of the parliamentary constituency of Salisbury have nothing to do with the announcement in the article. It says the city of Salisbury (and perhaps even the whole of the Salisbury exchange area. So looking at the Openreach map link posted shows the extent of the Salisbury exchange area, and it is overlaid ontop of a conventional map. The City of Salisbury can be seen underneath and is completely underneath the yellow exchange area. So the response to Alan’s original post claiming geographical nonsense simply pointed out that the whole of the city area was within the exchange area so at best would be covered along with outlying areas if the whole of the exchange area is to be done or at Bworst would still be completely covered if the intention was to do only the city area. Bringing in postal districts and parliamentary constituencies is merely obfuscation. I think he is just trolling. Nobody can be this stupid for real. The Openreach map is wrong then as it does not even cover the whole high street, which is clear to anyone that has any clue in the city of salisbury. The fact i live there and you want to tell me some dyslexic map from Openreach is right is insulting to say the least to myself and and other readers intellect. What a scummy organisation Openreach and its insulting goons clearly are. Really Don? According to both Google Earth and Ordnance Survey the High Street Salisbury runs from North Gate (41428,12981) to the junction with Bridge Street (41430,12993) a distance of less than 200m. I’d love to hear how you are able to claim that the whole of the High Street is not within the exchange? Geography from someone that has never been there or has any idea about about the area, its boundaries or general makeup. Try again – the Future High Street bid as reported in the Salisbury Journal on 14th March identifies only Fisherton Street whicn, from St Paul’s roundabout to Fisherton Bridge is still less than 600m, unless you can link to a more expansive proposal…… and yes according to Ordnance Survey there is only one thoroughfare currently named High Street in Salisbury. The CAR PARK at the bottom of the high street has been redeveloped it was started around September 2018 an finished around the end of that year. The redevelopment of the town you refer to which i made NO mention of has been discussed for years since about 2015/2016 and is for development along the back of certain premises in the high street. Planning approval of that has taken that long because some of the older premises are historically protected buildings. Or short version you did not actually read what i stated has been redeveloped, went on about another project entirely, still have no clue as to whats been done and still do not live there. PS… There is more than one high street, a small section on one of the A roads is still called high street (try zooming in on your maps more) and dates back historically before the main high street Salisbury was even there. Not that you know any of this though because your an armchair jockey that does not live there or have any knowledge of the area. I use OS 1to25k as well as usrn for roads. The areas you have now identified are clearly within the city and the exchange boundary. Care to try again as justifying your original claim? He claimed the Openreach map which uses Openstreetmap for its data (says so right on the openreach map) is wrong because it still shows a car park being in a location near the bottom of the high street where there is no longer one. The map therefore no matter if you want to still argue about city limits is thus WRONG as it has something on it that is not even there anymore. Its 2019 now not 2018 when that car park did exist. Or short version you still lose and map is outdated/has fantasy items on it/call it whatever you want… The simple word is WRONG! So after all the bluster confusing postal districts and parliamentary constituencies with the city limits all you are left with is that whilst you agree that the land unit is still within the city you complain that the underlying map, which is sourced from OpenStreetMap is not up to date, in which case most of google earth isn’t current either. None of which alter the fact that the land unit, regardless of what it is currently being used for is within the city and the exchange overage. TBB in part unless i am wrong uses information from BT about availability. Andrew does not have a person walking round checking things he is given data and trusts that data to be accurate and where possible tries to check it is accurate. 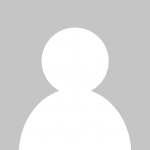 Unfortunately as most of the data is third party based errors which you do not seem to comprehend can occur. No idea why you are on about google maps. Neither don or i used that at any stage in this debate. YOU did though, but at least you now know that along with BTs Openstreet data is not correct because it is not up to date. Still dunno how why youthink it is me that does not know about regions, or confuses postal districts and parliamentary constituencies with the city limits. Or any other data that is mapped when it is you that freely admits you and BT have been using google maps and openstreet maps for your entire argument but then admit they are not correct. Mind boggles, you know where something and its limits even when its on a map but in reality nothing is there. I believe google put Elvis on the moon as a joke one april fools. Perhaps you could use that as basis of you being correct next time and BT can say he is there latest sign up also. TBB has many times gone on record here as sourcing their own information from speedtests just to correct your opinion. The only people raising postal districts and parliamentary constituencies were you and Don, whilst trying to argue that the Salisbury exchange area did not cover the city. Not sure of the relevance of your final paragraph – since you still seem not to have grasped the basics that the city of Salisbury is completely covered by the Salisbury exchange area, something which not of your arguments seem to have addressed. Oh nice try there, SPEEDTESTS yes they do, users submit speedtests along with their postcode for Andrew to plot on the TBB map. LOCATION of product errr nope that comes from various sources not just speedtest. Seeing as this development in salisbury is a PLANNED rollout and they would not have any speedtest data across the ENTIRE PLANNED rollout for it yet any mapping is from another source…. In this case BT and its borked geography Good try though you keep thinking. The openreach map claims its covering a car park in the city, a car park that does not exist so who knows what regions or bounds or whatever you want to claim it is supposed to cover. I may as well take an accurate map, doodle another million premises slap bang in whatever region you want to define as “the city region” and say look folks im now covering another million premises. You can not map a product and where and what you are rolling out to if the things you claim you are covering are not there, be it a car park, a million premises, elvis or an single person that online that thinks mythical things on a map makes it correct. Hard to know if you are actually this stupid or just a troll. Probably a bit of both. simple fact is the map covers Salisbury and whatever is underneath it will be capable of ordering FTTP, so since no sensible commercial maps are every up to date it simply does not matter if it is a car park, block of flats, regenerated shopping mall when the deployment is done, it will be able to order FTTP. Everything else is simply your desire to justify trashing the initiative. But if it makes you feel any better come back when the deployment is finished and post if you feel it has not met a sensible interpretation of the news item. I thought you were claiming it was only the city or whatever the Openreach exchanges reachs and gets claimed as the city. It certainly is not all of Salisbury regardless. So a house on the Openreach map that gets demolished 6 months down the line will be able to order FTTP, interesting. Oh no no no, it does matter, Openreach want to claim where things are available, Openreach want to show us all a map of where things are available. If they can not get one that is up to date perhaps they should stop claiming facts and figures based on non up to date information. I do not deny anything newly built may well be able to eventually order FTTP in that area…… Something that was once there (the car park in this example), but been demolished, but is still on their “availability map” Errrrrrr NOOOOOOOO, hows something/somewhere that is NEVER going to exist again going to order a product? No it is not trashing the development, any development and more FTTP is a good thing, making manipulative claims about covering an entire area when you are not though, that is not so good and still seems to be something you fail to grasp, why you would defend nonsense claims from an organisation remains a mystery. Its not like its an easily solved mystery and you part of the team is it. All the leading FTTP providers are looking for low hanging fruit. They are commercial companies and need an ROI to gain bolster revenue and either fund further rollout or convince investors they need more. As for OR if they implement Salisbury exchange it increases the likelihood of surrounding exchanges on subsequent phases. They will have marketing reports as well as considering resource, accommodation etc so it makes sense to start in areas where higher marketing share/demand rather than areas of lower market share. The wider issue is that we may end up with a lottery regarding coverage of each FTTP provider and possible gaps. At least OR appear to be committing to cover a whole exchange area at a time. The most important thing about FTTP is that there is a good ROI. Best way to kill it at investor level is to show poor ROI. Therefore the initial targets will be high ROI areas. In the high ROI areas things can be learned and methods perfected before tacking progressively more challenging locations. That is the way rolling anything out works – not just fibre. When will Telford to bring FTTP in? I think I have to email my local MP to ask Philip Hammond, Chancellor of the Exchequer to come to my area and asking if everyones in my area want G.Fast or FTTP? I reckon 99.9% will say FTTP. so the the question is will you ? Good call on the Novichok. I take it the house and areas affected will be missed off? Lol! I doubt that Openreach could find the house considering they seem to be missing the entire section of Salisbury Road between Coombe Bissett and Salisbury. Never mind the old cricket ground to the North. Good job we have the BT PR machine here though telling us they know the area though eh. Not missing but part of Coombe Bissett exchange area as a simple dialling code check reveals. What House and what exchange BT connect to houses has bugger all to do with the location of a road or premises. You really must be dim if you think a ordnance map and a postcode for a location is wrong and BT is right. Then again thats BT all over, churning out PR crap day in day out based on their own delusions of what they think is reality.